Amp UP employee health and happiness with our Walk@Work Programs! Research confirms exercise makes us happier and healthier. It helps prevent disease; is proven to slow the aging process; keeps us young in mind, body and spirit; and is more effective than some medications in treating anxiety and depression. It can even add years to our lives. A growing number of employers have realized that if they want a healthy and productive workforce, they need to invest in the wellness of those they hire. When they don’t, they can expect higher rates of stress, burnout and related absenteeism; difficulty recruiting and retaining talent; reputational issues; and of course, a negative impact where it often hurts most…the bottom line. Management often puzzles over how best to create a happier, healthier workforce, and this is where we come in. Just as we believe in a simple approach to exercise, we also believe in a smart and simple approach to happier, healthier employees. 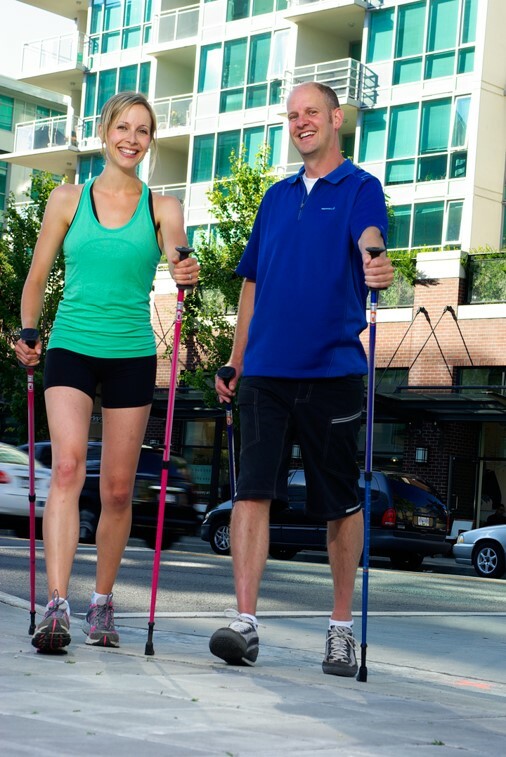 Walking is good, but walking with poles is a game changer – a full-body workout much like cross country skiing without the snow! Ideal for employees of all ages and abilities, our Walk@Work programs work over 90% of the muscles in the body and are much more challenging, motivating and fun than regular walking. 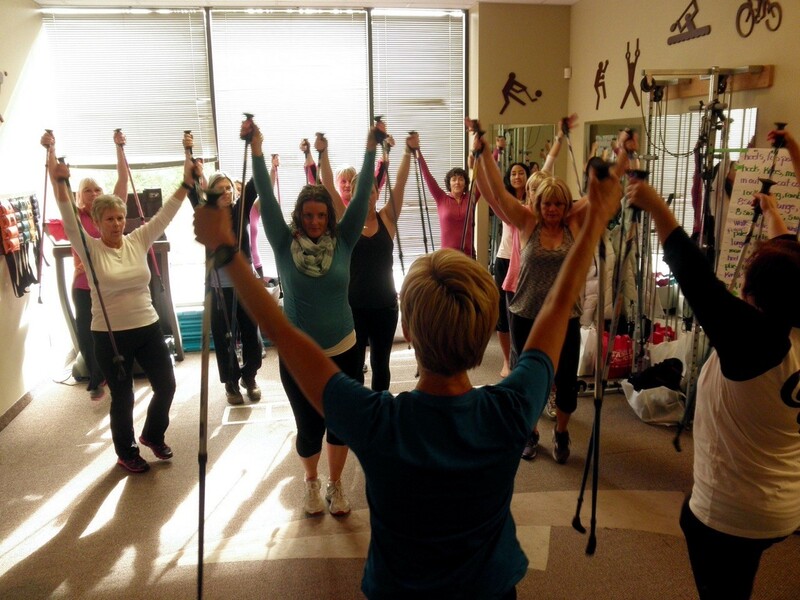 From the very first workout, participants feel the difference – in their core muscles, arms, shoulders and more. Because our programs are enjoyable, and because they achieve results regular walking programs simply can’t, participants are more likely to give them a try, stick with them, encourage colleagues to join in, and to report significant gains in health and happiness. We work with businesses big and small to develop customized Walk@Work programs. An initial consultation between our workplace experts and your business to understand your interests and needs. An engaging presentation for employees during which we discuss the health benefits of Nordic walking, provide would-be participants with an opportunity to try our Nordic walking poles, and during which we assess overall interest. The expert development of a program/ programs for employees. Assistance recruiting and training an instructor who leads your Walk@Work program. Informative and inspiring health and wellness content for employee newsletters, websites, social media platforms, blogs, etc. A discount on the purchase of our Nordic walking poles for your business.